With their biggest fields pertaining to Health Insurance Training, Life Insurance Training, Medicare Advantage Training, Medicare Supplement Training and Group Benefits Training for employer-sponsored benefits, agents can simply visit the website and get access to a free PDF guide that walks them through the sales process from A-Z. MIAMI, February 12, 2019	(Newswire.com) - While many agents get certified into their preferred insurance field, the more tedious task is finding an approach to the industry that is effective and made simple to bring in leads and clients. Insure University is an online guide for insurance agents that cuts out all the ifs, ands and buts. Insurance agents are able to pick through 50 years of knowledge in health, life, retirement, Medicare, group and supplemental insurance on a website built by experienced agents, for beginner agents. With their biggest fields pertaining to Health Insurance Training, Life Insurance Training, Medicare Advantage Training, Medicare Supplement Training and Group Benefits Training for employer-sponsored benefits, agents can simply visit the website and get access to a free PDF guide that walks them through the sales process from A-Z. This is typically just the start for agents, as the website also goes over which carriers may be the best to get contracted with for certain fields and also grants access to great tools that make the job a lot easier in specific cases (when enrolling a client in insurance). The training guides typically touch on two main areas: the Sales Process Flow and the Face-To-Face. The sales process flow is a step-by-step training PowerPoint. It will walk agents through the general structure of a sale including all of the paperwork and quoting software necessary to complete a sale. The face-to-face guides will typically include two parts. Part one would include the tools needed to complete a face-to-face sale, such as a PowerPoint presentation. Part two would be the marketing resources needed to close the sale, such as consumer-facing videos. The tools section contains a host of tools that help agents get through sales with a client that may have a more out-of-the-box situation than most typical clients. These tools include free insurance quoting software, agent field guides, applications, benefit qualification instructions for MSP, fact sheets and much more. The Marketing section explains how agents can get more clients through a plethora of marketing options that really helps separate them from the competition. BenaVest will add agents to the location area of their websites which will get agents walk-in traffic (over 130 websites). BenaVest will allow people to meet with prospect leads at their virtual offices (currently 39 locations and growing) and they will build a full-fledged agent portal with six free insurance agent landing pages with modern web design layouts and personalized call-to-action button that leads directly to agents, and much more. While there is always a catch when people see the word FREE, it's also the case here. Insure University is a branch of BenaVest and while most of the training is free and open to the public, they will ask agents to contract with at least one carrier through BenaVest before they help with marketing. With Insure University, agents benefit from having marketing, training and contracting broken down in the simplest format to save time and accumulate proper knowledge in the field. For more information, reach out to Insure University. Group / Individual Health Insurance Agency that makes it very easy for clients to sign up for subsidized financial assistance and check all of the available health plan options in their area. With the deadline for Marketplace health insurance passing, alternative health insurance options presented themselves as viable. 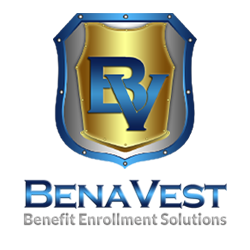 Recently recognized by CMS, BenaVest joined the Elite Circle of Champions by helping people enroll in Obamacare and beat the Obamacare deadline.